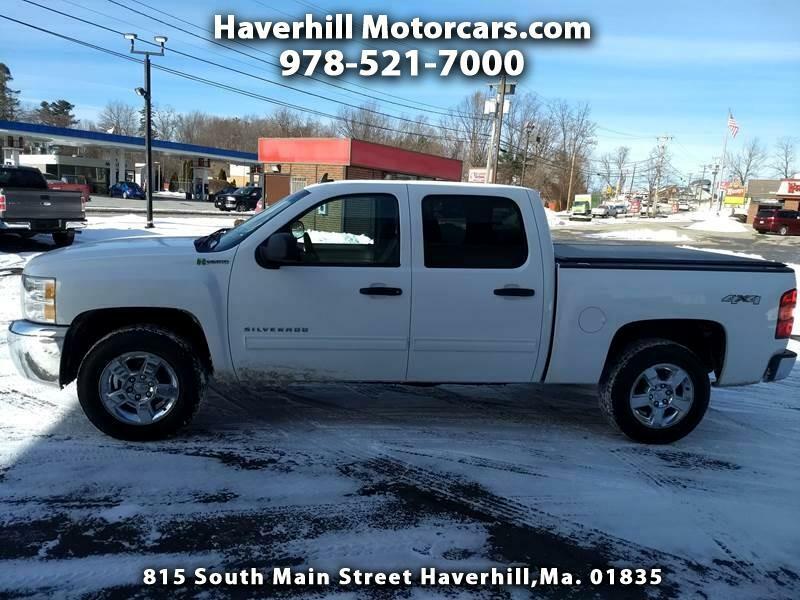 Used 2012 Chevrolet Silverado Hybrid 1HY Crew Cab 4WD for Sale in Haverhill MA 01835 Haverhill Motorcars, Inc.
What A Nice Truck!! More info and Pictures to follow soon! The 2012 Chevrolet Silverado 1500 Hybrid is available only as a crew cab with a 5-foot-9 cargo box. The 1HY provides 18-inch alloy wheels, a soft tonneau cover for the cargo bed, privacy glass, heated mirrors, a locking tailgate, full power accessories, remote ignition, cruise control, dual-zone automatic climate control, a cloth-upholstered 40/20/40-split front bench seat, a tilt-only leather-wrapped steering wheel, OnStar, Bluetooth and a six-speaker sound system with a CD player, satellite radio and an auxiliary audio jack.